Writing Lost & Found has been a long standing labor of love of mine. As an award winning forensic analyst I have always tried to use my skills to find solutions that can easily empower the underserved. After considerable research I determined the best way to reduce civil strife is through proper nourishment. Sadly today people living below the line are forced to eat cheap, highly processed foods. As such, they are weakening their immune systems and getting sick. With little money for food, how can they afford medicine? This never ending poverty cycle prompted me to write a book titled Lost & Found: Nutrition Reboot. It is the first part of a four book series broken down by global regions. 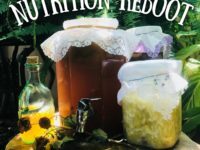 The first book discusses the importance of a pre/probiotic diet and includes a catalog of fermented and cultured products of the Americas (including recipes). I am currently translating it into Spanish, French and Creole. PS: Please feel free to share!